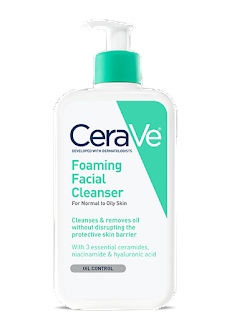 A few weeks ago I did a blog post on CeraVe Skincare and how nice it is for the skin. Now I have a post on their cleansing products and how nice they are for the skin. i think you will be able to find one amongst the four I review. This cleanser is recommended for normal to dry skin. it cleanses, hydrates and helps restore the natural protective barrier to the skin. It has three essential ceramides to help accomplish this. It is non comedogenic. It has MVE Delivery Technology, controlled release for all day hydration. This cleanser is fragrance free to avoid fragrance irritation. It also has hyaluronic acid to help maintain the skin's natural moisture. This is not a foaming cleanser but goes on smoothly and takes off makeup smoothly. Just apply, rub off makeup and rinse or tissue off then rinse off face with warm water. Pat dry. This cleanser is similar to the other facial cleanser. It is hydrating in nature but it foams. It was developed by dermatologists this unique formula has 3 essential ceramides that cleanse, hydrate and help restore the protective natural barrier to the skin. 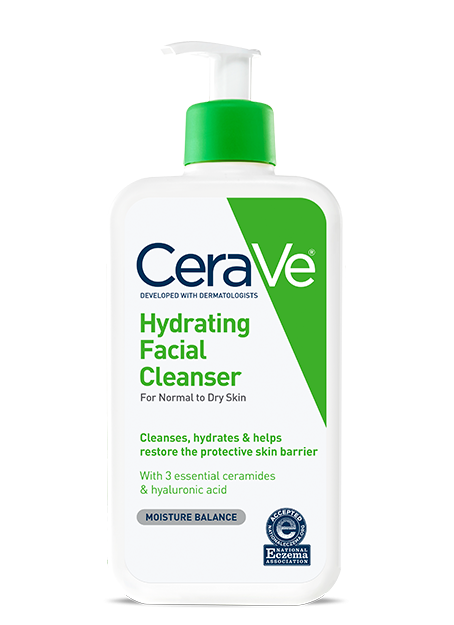 This cleanser also has the MVE Delivery Technology for a controlled release all day long, Hyaluronic acid to help restore moisture to the skin, fragrance free to keep it easier on the nostrils and definitely non comedogenic. It also has Vitamin B3 (Niacinamide) in it to keep it calmer and less red. This cleanser can even be used on acneic skin. It is for normal to oilier skins. Just not really dry skins. If you think this is like regular soap, you are sadly mistaken. This is a cleansing bar for the face and neck. It is not regular body soap. It gently removes dirt, oil and makeup without disrupting skin's natural protective barrier. 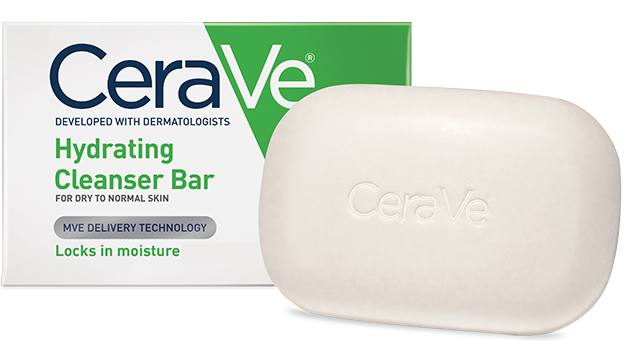 Unlike any other cleansing bar, the soap also contains CeraVe Moisturizing Cream to hydrate and nourish, so skin is left soft and supple. To use: wet skin with lukewarm water. Work this into a lather with hands or cloth and massage into skin in a gentle, circular motion. Rinse. I love this bar. It also has the MVE Delivery Technology for a controlled 24 hour hydration. 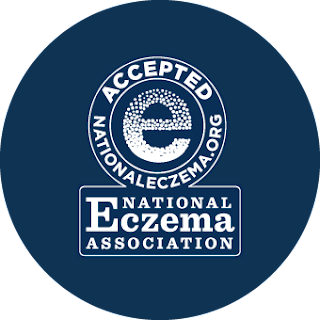 This soap is accepted by the National Eczema Associaltion. 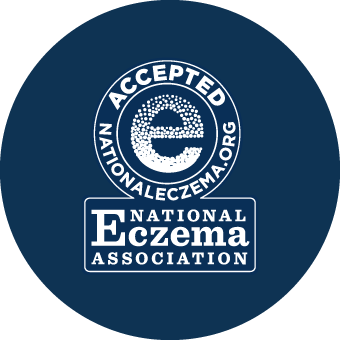 They approve of this soap for use on eczema! 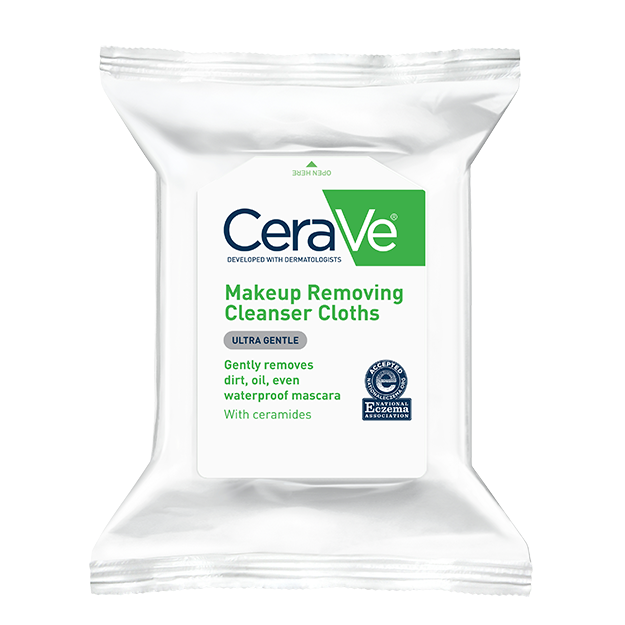 These makeup removing cloths are some of the best I've tried. And I have tried a lot of them. I like that they remove makeup very well, dirt, oil, waterproof makeup all in a gentle way that doesn't have me tugging the life out of my eyelids. These are moisturizing and very gentle on the skin. 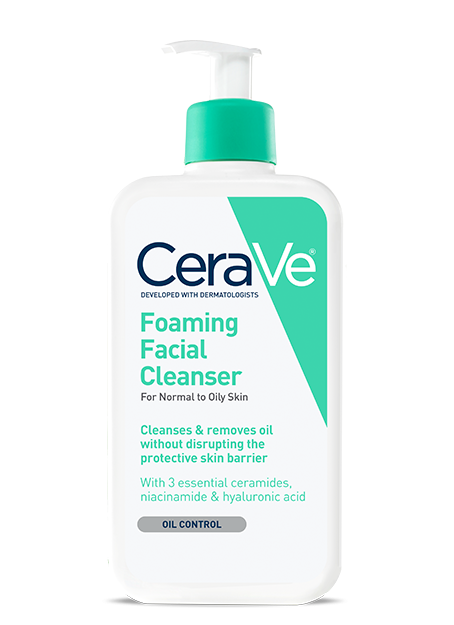 Like all CeraVe products, they too contain the vital ceramides healthy skin needs to restore and protect the natural protective barrier. These are gentle enough for sensitive skin. Fragrance-free and sulfate-free. No need to rinse after using these. 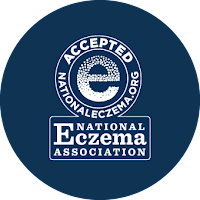 The makeup removing cloths also get the seal of the NEA, National Eczema Association. CeraVe can be purchased on www.amazon.com, in mass market distributors such as WalMart, Target, Walgreens, CVS, Rite-Aid and Ulta Beauty. Like CeraVe on Facebook: https://www.facebook.com/CeraVeand Follow VeraVe on Twitter:@ceraveskin.